Every once in a great while, a singer comes along who is so untalented, yet so willing to sing in public, that people buy records just to marvel at his or her awfulness. These "musicians" are actually selling laughs, and are even more effective if the audience isn't quite sure whether the artist is in on the joke. Florence Foster Jenkins tells the story of one such artist. The movie stars Meryl Streep as a woman with a deep and abiding passion for music who couldn't carry a tune if it came with handles. Since it's in theaters today, let's start with her as we look at other infamously bad musicians. These five acts have a few things in common: no stage fright, thick skin, and lasting fame. It takes guts and charm to pull off a career as a bad singer, but the rewards can be great. 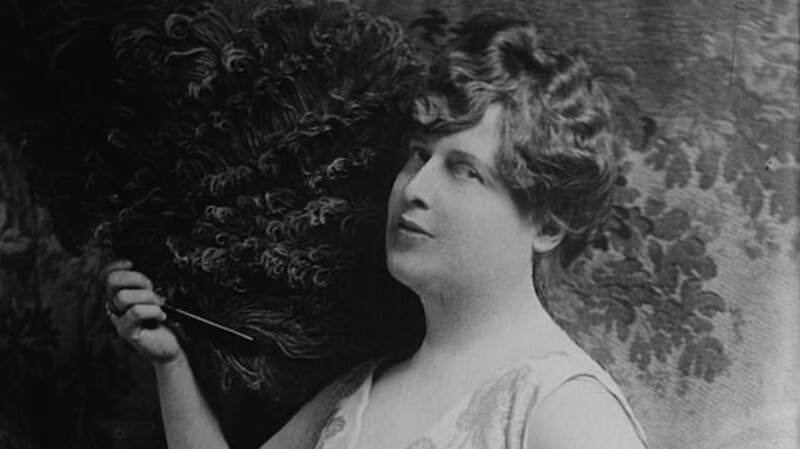 Florence Foster Jenkins was born in 1868 and made recordings in the first half of the 20th century. She wanted to be an opera singer from an early age, but was discouraged by her parents and later by her husband. Yet she still pined for the stage, and after filing for a divorce and securing an inheritance from her father, she set out to build her career. She performed a handful of concerts in New York, Washington, and Newport, where the audience was filled with loyal friends who encouraged her to pursue her dreams, as well as curious music lovers who felt compelled to witness the carnage. Jenkins could neither sing on key nor keep a rhythm, yet she loved performing, and her recitals included a number of elaborate costumes. Later called "The Diva of Din," she shrugged off laughter from the audience and less-than-stellar reviews, attributing them to jealousy. There is no evidence that Jenkins ever gave less than her best efforts. Many who knew the charming musician refused to discourage her as she led her deluded but happy life as a famous opera singer. Jenkins avoided Carnegie Hall for most of her life, but finally booked it in October 1944 when she was 76 years old. Tickets sold out weeks before the show, and she was enshrined as the worst singer to ever play the venue. She died a month later, still oblivious to the mocking reality behind her fame. Listen to Jenkins perform Mozart's "Queen of the Night" (if you can handle it). Elva Ruby Connes Miller was known to TV audiences simply as Mrs. Miller. She grabbed the attention of Baby Boomers and their parents with her appearances on The Tonight Show, The Ed Sullivan Show, Laugh-In, and other variety shows of the 1960s, but she began her career by singing gospel and children's songs, and then giving away the records. She was discovered by disc jockey Gary Owens, who put Miller's music on his radio show in 1960 to draw laughs. He'd later go on to become the announcer on Laugh-In. "I don't sing off-key and I don't sing off-rhythm. They got me to do so by waiting until I was tired and then making the record. Or they would cut the record before I could become familiar with the song. At first I didn't understand what was going on. But later I did, and I resented it. I don't like to be used." However, money talks and Miller eventually got into the spirit of her act. She managed to stay in character while performing, as the unaware diva in the tradition of Florence Foster Jenkins. Miller was also a genuinely charming, ladylike rural character from Missouri who inspired respect as she sang for laughs. Her 1968 album Mrs. Miller Does Her Thing featured the grandmotherly woman offering a curious-looking plate of brownies on the cover and singing psychedelic '60s tunes. This endeared her to the hippie generation, but Miller always insisted she was not aware of the drug references. Feeling betrayed, she left her recording label and tried to change her image to that of a conventional singer. That attempt failed. She retired in the 1970s, and died in 1997 at the age of 90, but you can still hear Mrs. Miller performing live with Jimmy Durante. The Portsmouth Sinfonia was an orchestra formed in 1970 at England's Portsmouth School of Art. The original goal was to make the experience of musical performance open to those students who didn't have a background—or talent—in music. Those who played an instrument could join, but only if they switched to an instrument they weren't familiar with. In fact, members didn't even have to be students, and they were forbidden to play less than the best they could. The band was an odd experiment that took off: They played concerts, then released an album, then played the Royal Albert Hall. The orchestra was led by several well-known guest conductors, the most illustrious regular member being Brian Eno, who went on to legendary fame as a member of Roxy Music and producer for David Bowie, U2, and more. Unfortunately or fortunately, the Sinfonia stopped performing in 1979. You can hear their recording "Classical Muddly" on YouTube. William Hung found fame on the TV show American Idol in 2004. An engineering student at UC Berkeley at the time, Hung didn't make the cut for the competition, but his 2003 audition was featured in an episode dedicated to those who lacked the talent for the contest. His performance and his good-natured response to failure made him a sensation. Hung was immediately invited to appear on various TV talk shows to discuss his experience—and sing. This led to a record deal from Koch Entertainment and three albums, plus appearances in sitcoms, movies, and advertisements. Hung also performed live at various sporting events. Despite a lack of singing talent, crowds loved him for his sincerity and humility. In April, Hung was invited to sing "She Bangs"—the song that made him infamous—on the American Idol finale. Wing Han Tsang, who records using only the name Wing, is a professional singer from New Zealand. Born in Hong Kong, Wing began singing in nursing homes soon after she immigrated to New Zealand. Wing's reviews compare her to immortals like Mrs. Miller and Jenkins, but her style is a bit more unconventional. Wing became all the more famous when she was parodied on South Park; at one point you could even arrange for her to sing you a song over the phone for a nominal fee.Unfortunately, Wing retired from singing professionally in 2015. You can hear many of her performances online, such as her rendition of The Carpenters' "Close to You".